I apologise for the lack of posts this months as life gets in the way of blogging and even my NaNoWriMo challenge of the month. 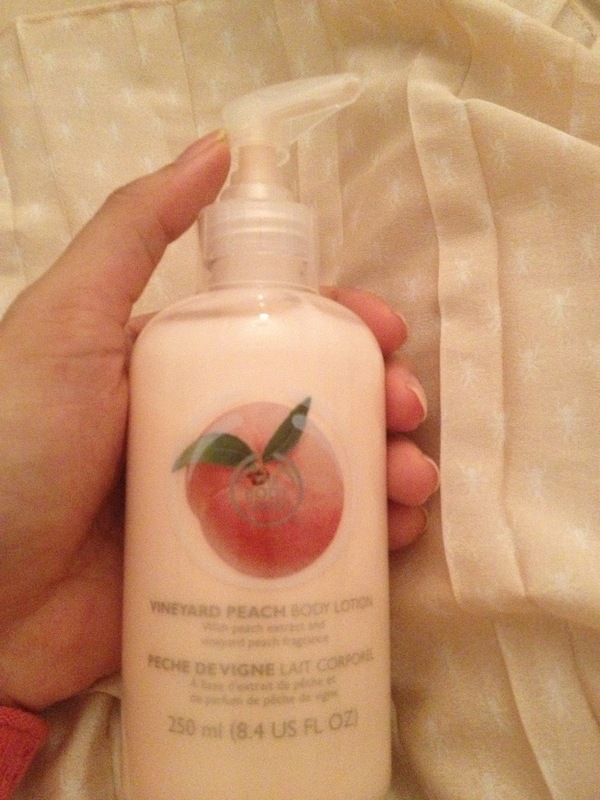 The Body Shop’s latest range’s fruity flavour fragrance is vineyard peach. At the moment I’m very confused I have my Strawberry days and Peach days, I can’t decide which one I like better! 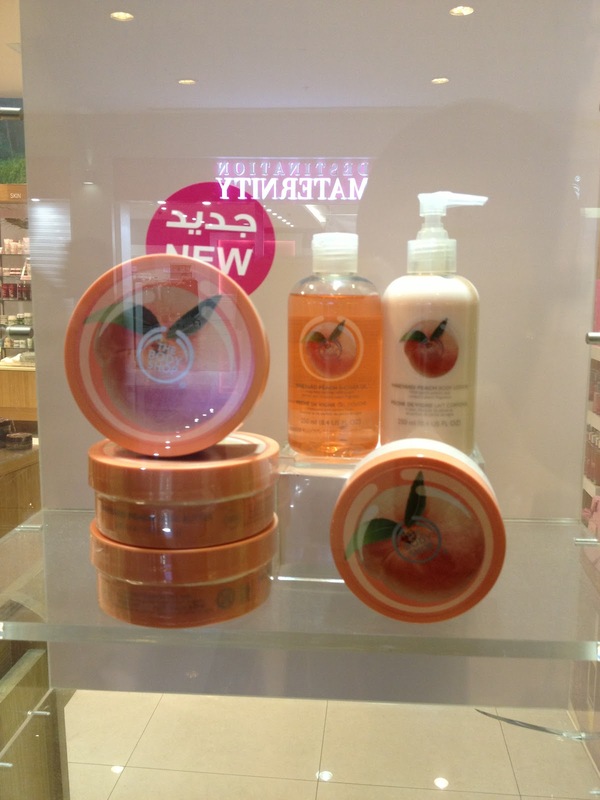 I can tell you that my favourite product in the range is their gorgeous Peach body scrub. It has a peachy yet nutty fragrance, and sloughes away your dry rough skin leaving your skin soft and supple to touch, it isn’t too harsh or drying, perfect for all skin types. Use daily on dry areas otherwise limit to once or twice a week. Contains Wild peach extract Mediterranean peach kernel oil Community Fair Trade organic soya oil from Brazil Community Fair Trade organic babassu oil from Brazil Community Fair Trade marula oil from Namibia. The perfect way to start the day is to use this shower gel in your morning shower, its burst of tangy peachiness is invigorating and it easy lathers lusciously leaving you squeaky clean and buzzing with energy to start the day. Contains Wild peach extract Mediterranean peach kernel oil Community Fair Trade honey from Ethiopia. My second most favourite product from the range, this delicious smelling lotion transforms your skin into sweetly fragrant silk. I love it, and as I’m an obssesive hand washer, use it to moisturise my hands a hundred times a day. Another great body butter from TBS, again great for your dry areas, and full body moisturising as winter dry weather approaches. Great scent refreshing not overwhleming. 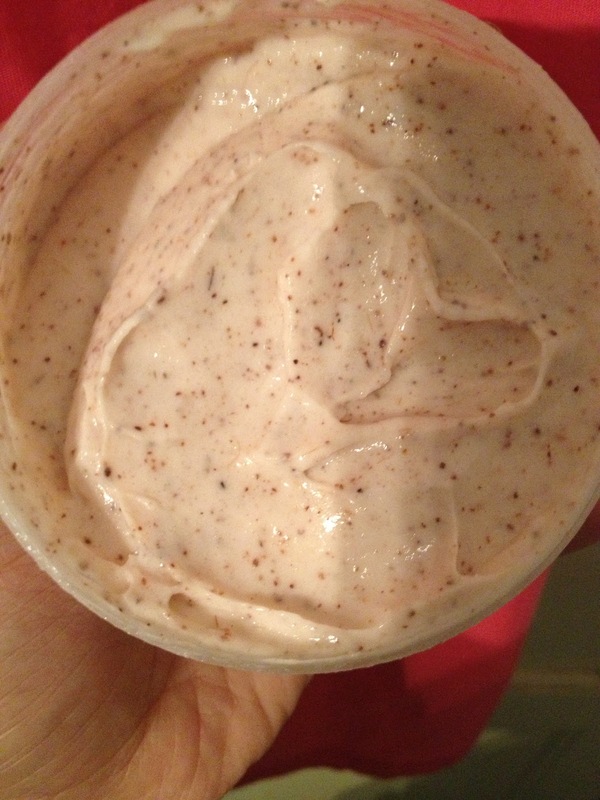 This may seem strange to some people but I like to mix a bit of strawberry body butter for fun fruit fragrance. Please be sure to try out the new Vineyard Peach range products made from real peaches, at your nearest The Body Shop or Pulse Boutique. To stay up to date with new product launches, special offers and competitions be sure to follow The Body Shop on Facebook and Twitter.